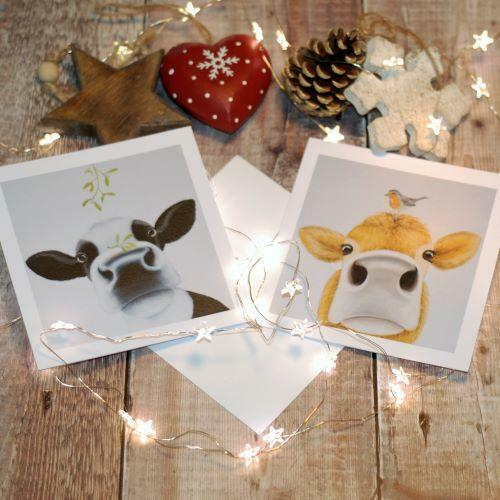 This pack of 10 Moo Christmas Cards is made up of two designs - 'Mistletoe Moo' and 'Robins Nest Moo' There's 5 of each design in the pack. 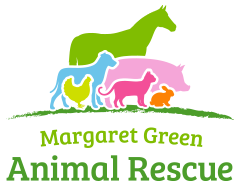 Margaret Green, who founded the charity in 1965, was an amazing lady with incredible strength and determination. She passed away on Christmas Eve 2009, age 94. Despite being hospitalised for some weeks prior to her death, she still wouldn’t stop thinking of animals and even on the night before she died, she insisted on checking that arrangements had been made for her annual Christmas donation of carrots for Angel and all the other horses at the Church Knowle Centre. The cards are blank inside for your own moo message and come complete with white envelopes.